You know how you have those neighbors that go all out at Halloween? They put their decorations up in September. Everyone gets dressed up, even the dog. They give out the full size Snickers. You know the type. Well, I had no idea, but Captain Morgan is that family. This new limited edition expression follows in the footsteps of Captain Morgan Cannon Blast, which was designed as a Jagermeister-like shot and bottled in a faux cannonball. 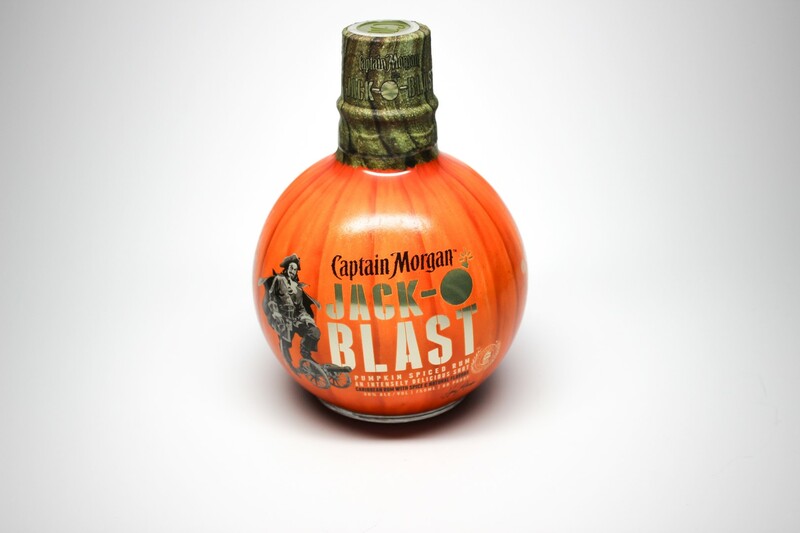 Jack-o-Blast, as you can see from the photo above, is bottled in a faux pumpkin! And it looks legit! It doesn’t really matter what this stuff tastes like. You can put the bottle on your dining table as a credible centerpiece for the Halloween season. Anyhoo, there is actual liquid inside the bottle, which is described as “pumpkin spiced rum.” At 30% alcohol, it’s lower-proof than Cannon Blast even, which is likely part of why the color is so light and golden hued. On the nose, imagine a liquified pumpkin pie, heavy with cloves, ginger, and vanilla — the hallmarks of a classic pumpkin pie. The palate isn’t quite as crystal clear. It drinks foremost with cola notes, from start to finish, the herbal elements adding a layer on top of that. Quite sweet from start to finish, it manages to keep from being overblown with sugar. In fact, while that sweetness hangs in there, it’s the cloves that linger longest on the finish, though it’s the aroma that makes the biggest and most lingering pumpkin-like impression. Prototypical “pumpkin everything” fans will probably enjoy this beverage a bit more than I did… but I expect more of it will end up in coffee and on ice cream than it does in shot glasses. “Jack Blast” huh. Not the loveliest name but still gonna grab a couple of these for gifting. Already got mine. And not for gifting. I wasn’t a huge fan, it was like I was drinking a Yankee Candle. A very nice Yankee Candle, but still a candle. I’ll try the ice cream idea, that sounds promising. Now that was a Proustian moment. Or Debbien moment. This tasted exactly like the Little Debbie Pumpkin Delights that my grandmother handed out at Halloween.